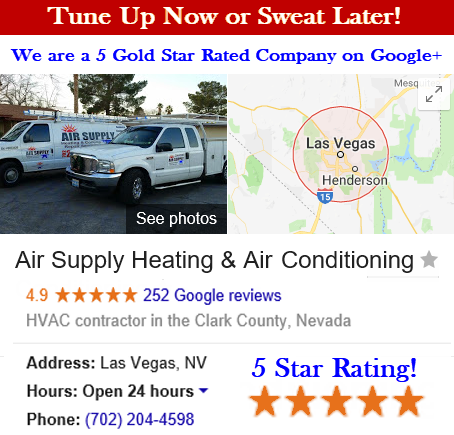 Air Supply Heating and Air Conditioning of Las Vegas, Nevada have earned a reputable name among the commercial and residential property owners locally and in surrounding areas. Being locally owned and operated, having the proper credentials; certifications, licensing, and insurance, we can provide the local community with our professional expertise and services. 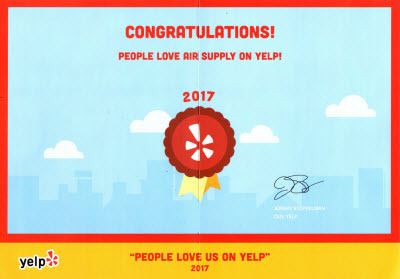 With our commitment to family-friendly customer service, high morals, exceptional work ethics, and superior execution on consistent bases, you will see why so many locals have joined the Air Supply Heating and Air Conditioning family. Air Supply Heating and Air Conditioning technicians are among the elite; having advanced and ongoing training, experience in the field, and remarkable skills, they are more than qualified to tackle any task associated with our services. 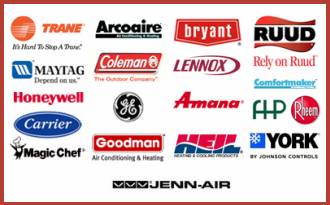 Additionally, Air Supply Heating and Air Conditioning exclusively utilizes high-end products and equipment to ensure our customers receive nothing less than maximum results. How Do Evaporator Coils Work in the Refrigeration System? 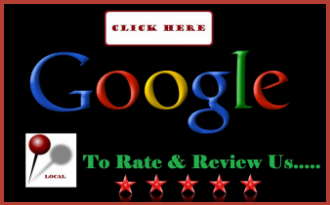 Air Supply Heating and Air Conditioning is very knowledgeable when it concerns your home or business’s evaporator coils within the air conditioning system. With the evaporator, the refrigerant in its liquid form converts into a gas as it absorbs the heat from the air within the compartment, working opposite the condenser. The heat dissipates the content, making it much cooler than fan air that blows around it as the liquid refrigerant reaches the evaporator, when the pressure is reduced. The heat is from the warm air is absorbed into the refrigerant after it rapidly reaches low boiling point. As the refrigerant is then vaporized, it absorbs the maximum volume of heat. The whole cycle of the refrigerant is repeated after the heat is varied by the refrigerant from the evaporator as a low pressure gas through the line to the outdoor unit’s compressor. This allows the desired room to reach determined temperatures set by the thermostat because the evaporator removed the heat. The evaporation process in the system relies heavily on the fan speed. Heat exchange is contingent upon a temperature differential of the air as well as the refrigerant. For rapid evaporation, the blower fan is set to its highest speed in order for it to deliver the most air across the fins and coils. A helpful tip to beat the heat – operate the blower fan at the lowest speed so the heat will be absorbed by the refrigerant from the air for the coldest air temperature. Altering the condition of the refrigerant in the evaporator coils is crucial as the air flows over the coils. Supplied to the coils, liquid refrigerant in the expansion valve expands to a vapor as it absorbs heat from the air. A starved evaporator coil is a condition used in the industry is when not enough refrigerant has been supplied throughout the complete length of coil. Resulting in poor coil operation and too-low heat exchange, the expansion of the refrigerant has not occurred through the whole coil length. Additionally, your evaporator coil might be flooded, being the opposite of a starved coil. Resulting in unexpanded liquid passing onto the suction line and into the compressor, is when there is too much refrigerant is passed through the evaporator coils. No matter what problems are inflicting your evaporator coils in the Las Vegas, NV homes or business’s air conditioner, Air Supply Heating and Air Conditioning can get them repaired or replaced, whatever the case may be, quickly and efficiently. Contact us for all air conditioning needs.